JOHOR BAHRU, 1 September 2018 : A Chartered Engineer and a senior lecturer at Razak Faculty of Technology and Informatics (FTIR) Universiti Teknologi Malaysia, Ts. Dr. Rozzeta Dolah was elected as the new President of MIT Postdoctoral Association (MIT PDA) for the 2018/2019 session with effect from 1 September 2018 and becomes the first Malaysian to hold this position at MIT. The MIT Postdoctoral Association (PDA) is a postdoc-led organization with the goal of providing support for over 1,500 postdoctoral trainees appointed in 50 departments at MIT. With around 1,600 Postdoctoral including Associates and Fellows in MIT, this is a superb achievement and testimony of her leadership potential and esteem with which she held amongst the postdoctoral students. 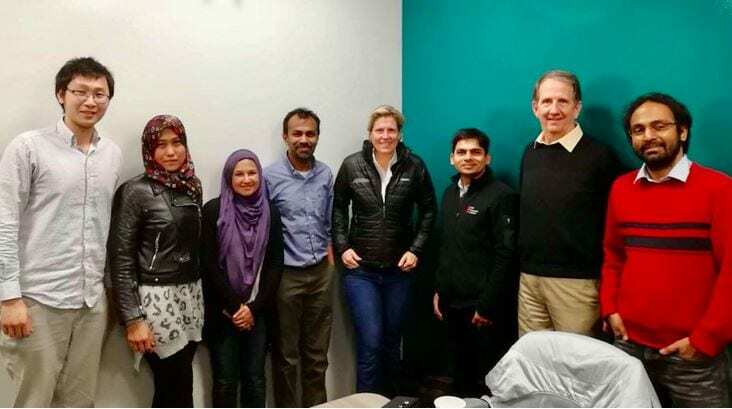 Before being elected as President, Dr. Rozzeta has been actively involved in MIT activities including holding a post as the Chair of MIT PDA Human Affairs Committee 2017/2018, and also a Trainer for MINITAB® statistical software short course.In addition, she has organized “Women Entrepreneurs: Challenges and Opportunities” event at Martin Trust Center for MIT Entrepreneurship featuring Nicole Stata – Founder and Managing Director of Boston Seed Capital, LLC and invited well known industry guests for networking and experience sharing with MIT postdocs. Dr. Rozzeta, trained in Japan, is currently a postdoctoral fellow at Massachusetts Institute of Technology (MIT), Cambridge, USA with expertise in robust quality engineering for nanotechnology in renewable energy. Her area of interest is in microfluidic and nanofluidic transportation system for energy conversion from biomass into aviation fuel, with particular emphasis on the technical experimental design and optimization. She also works in several labs and have led the design and optimization of a pyrolysis biomass reactor for second generation pyrolysis for bio fuel conversion from palm oil empty fruit bunch. In addition to her expertise, she was involved in an optimization of adhesive peel strength for flexible packaging film. 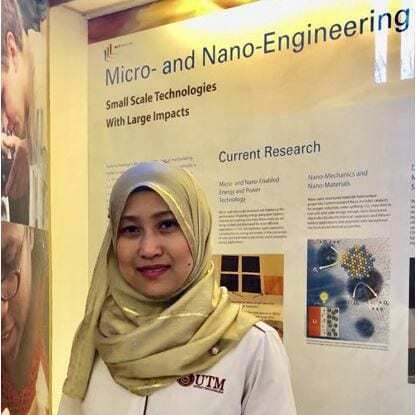 One of the industrial collaborations that she was involved in are the reduction of CO2 emission in carbon capture utilization, and storage (CCUS) research at TNB Malaysia’s power plant using nano catalyst in marine micro algae photo bioreactor. Another collaboration is Malaysia’s automobile PROTON, dealing with robust quality engineering optimization for vehicle dynamic responses in various ride and handling (R&H) performance. As postdoctoral fellow at Prof. Karnik’s Lab of Microfluidics and Nanofluidics Research Laboratory, in MIT Department of Mechanical Engineering, and having the experience in robust measurement and metrology for Ph.D at Meiji University, Tokyo, Japan; the research has enabled her to develop skills in robust engineering method for nanotechnology. She teaches quality engineering and her experiences in quality engineering was gained under the direct tutelage of the son of the late Dr. Taguchi, world’s renowned Quality Guru. Dr. Rozetta thanked UTM for the continuous support, and encouragement and promise to do her best to keep on raising our UTM flag high. UTM has established a healthy long-term research cooperation with MIT in Sustainable Cities Programmes to study and document sustainable city development efforts in Malaysia through the Institute of Sultan Iskandar (ISI).